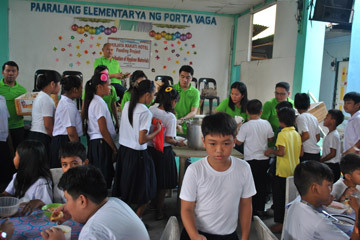 Berjaya Makati Hotel Organised Feeding Program For School Children. 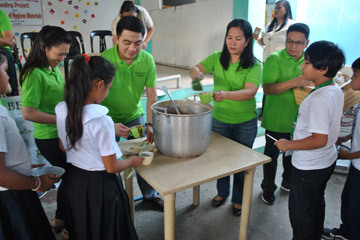 MAKATI, JANUARY 2018 – Berjaya Makati Hotel’s solid commitment bound by compassion continues as its quarterly Corporate Social Responsibility (CSR) was held once again last January 23, 2018 for the enthusiastic children of Porta Vaga Elementary School in Cavite City. 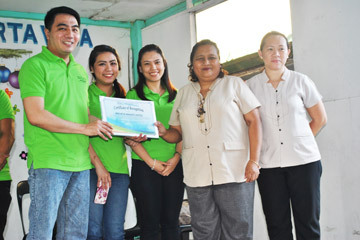 Department heads and associates of Berjaya Makati Hotel stand firm with the hotel’s belief in paying the blessings forward by conducting a feeding programme and provision of hygiene kits that will benefit the 369 students. 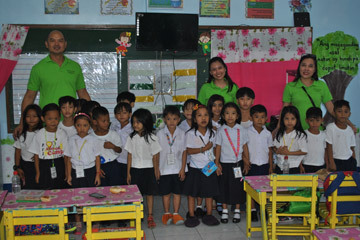 Porta Vaga Elementary School is a small scale public entity located in the Cavite City with few rooms to accommodate the pupils. The school may not be at its best condition; however, it was never a hindrance for the students to be genuinely welcoming. It is a gratifying thought that the hotel’s philosophy of spreading benevolence have reached even the lives of those children, while them on the other side have reminded us to enjoy and live at the moment.